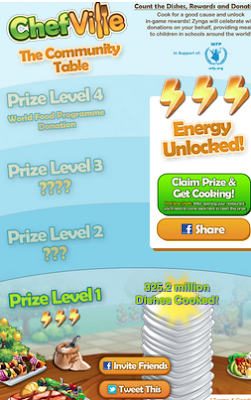 A link to get 3 free energy has just been posted on the ChefVille Facebook wall. In addition to this, the ChefVille Community Table has just been released. 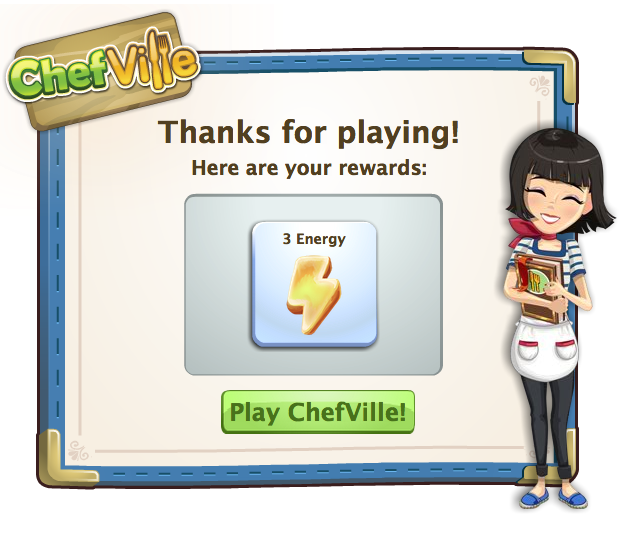 Keep cooking up meals in ChefVille and Zynga will provide donations in support of the World Food Program! You can click on the link below for 3 free energy and more information on The Community Table. There are four total prizes that will unlock as more and more dishes are cooked in ChefVille. So far there have been 325.2 million total dishes cooked! Be sure to invite friends to ChefVille and share this post in order to continue unlocking the prizes! 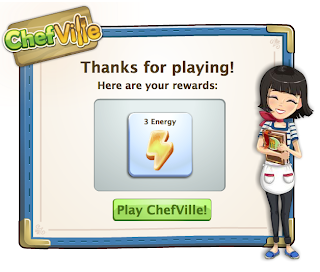 It looks like the more people who play ChefVille the faster Zynga will donate to the World Food Program, so get cooking!